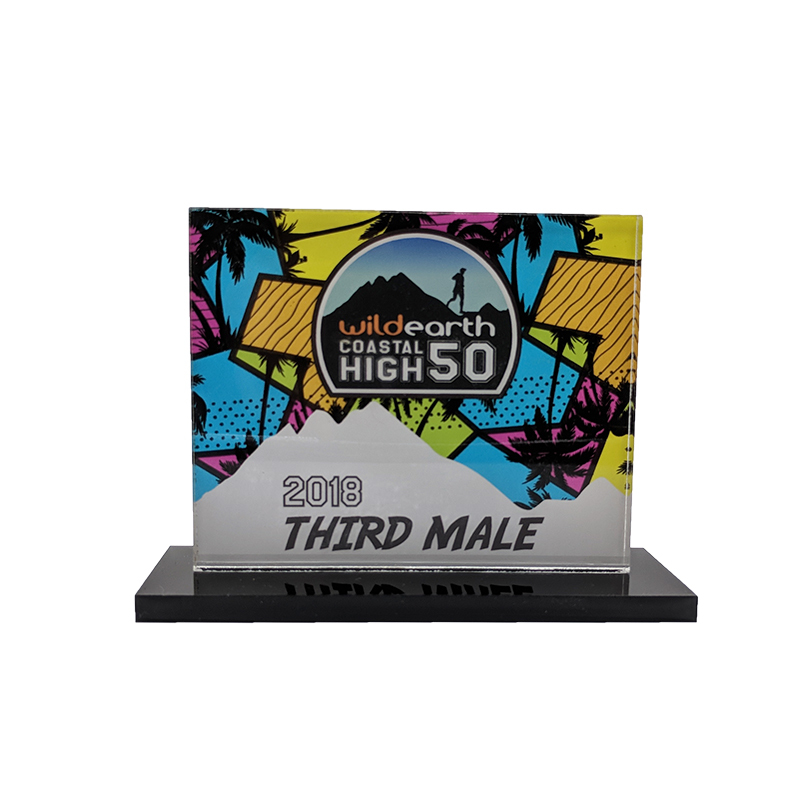 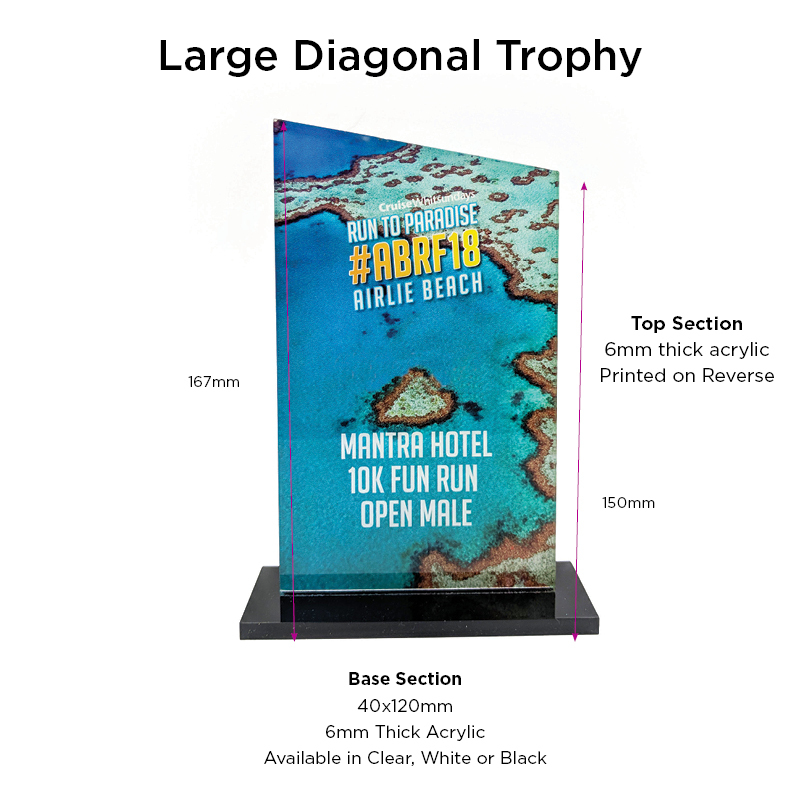 These custom printed trophies are hand-made from acrylic and perfect for your next event. 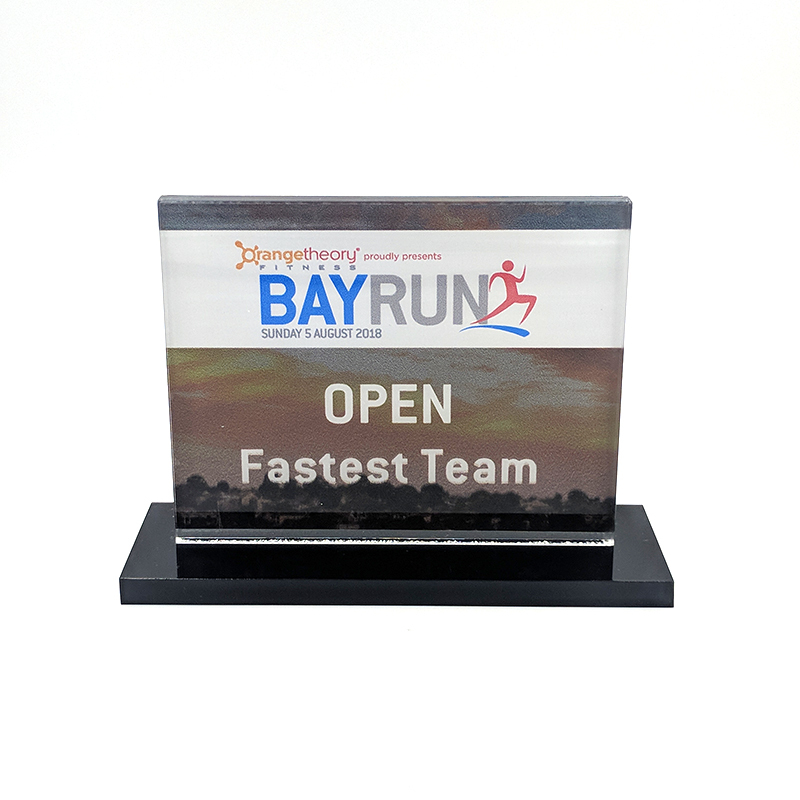 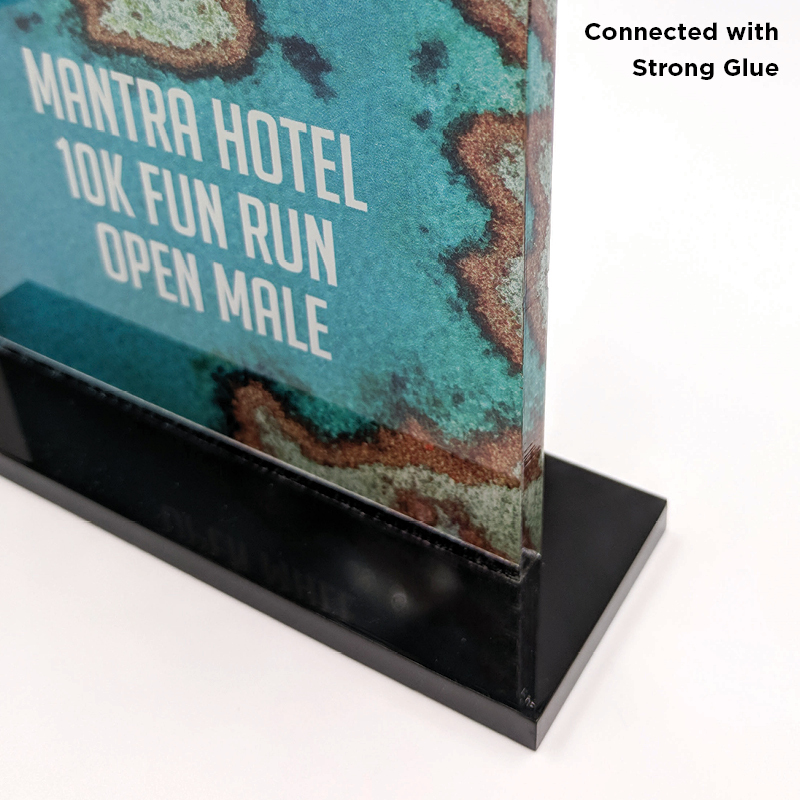 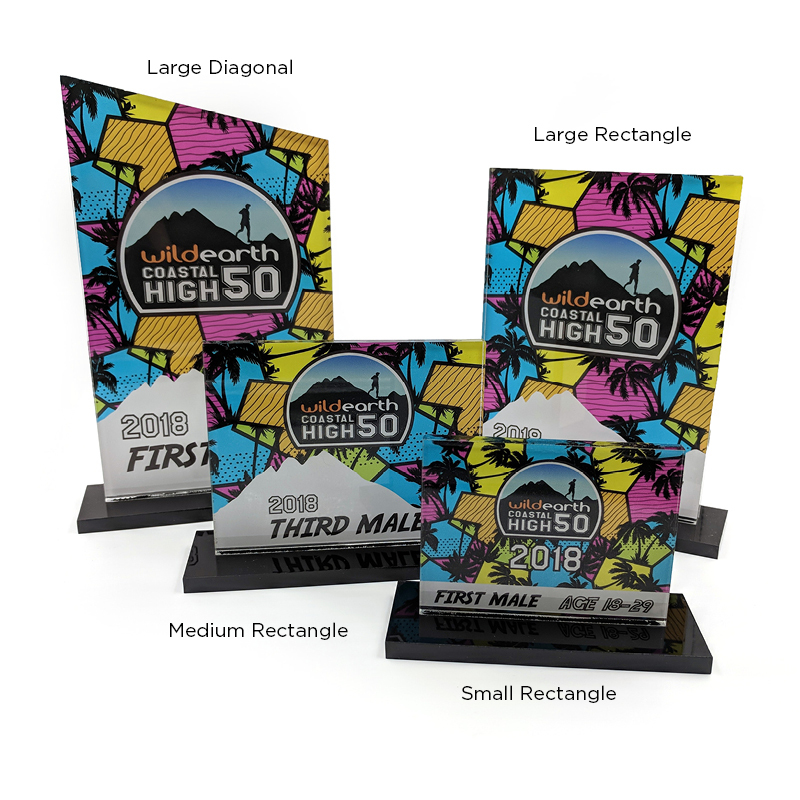 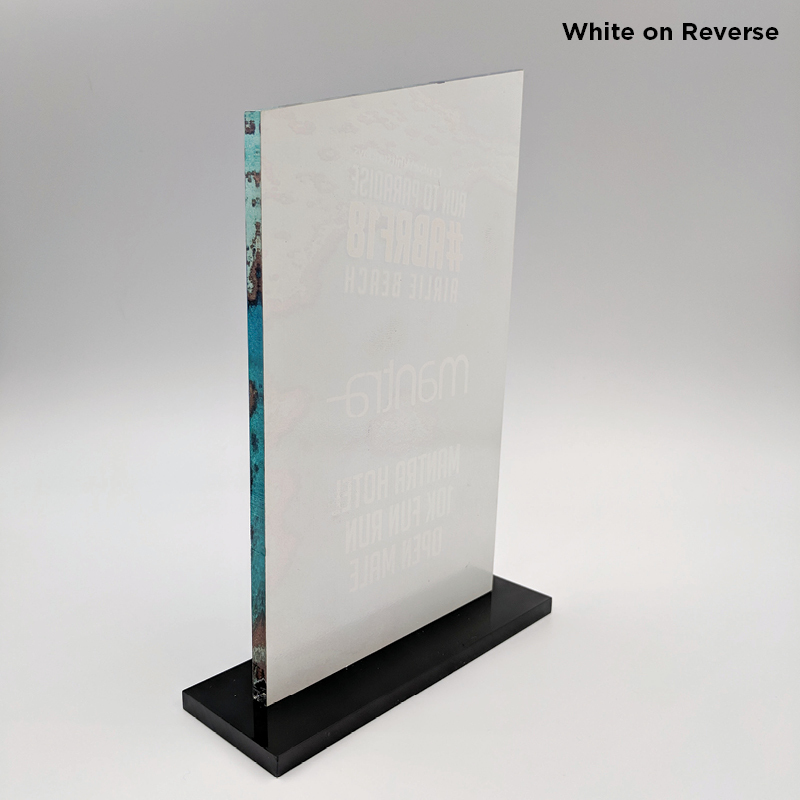 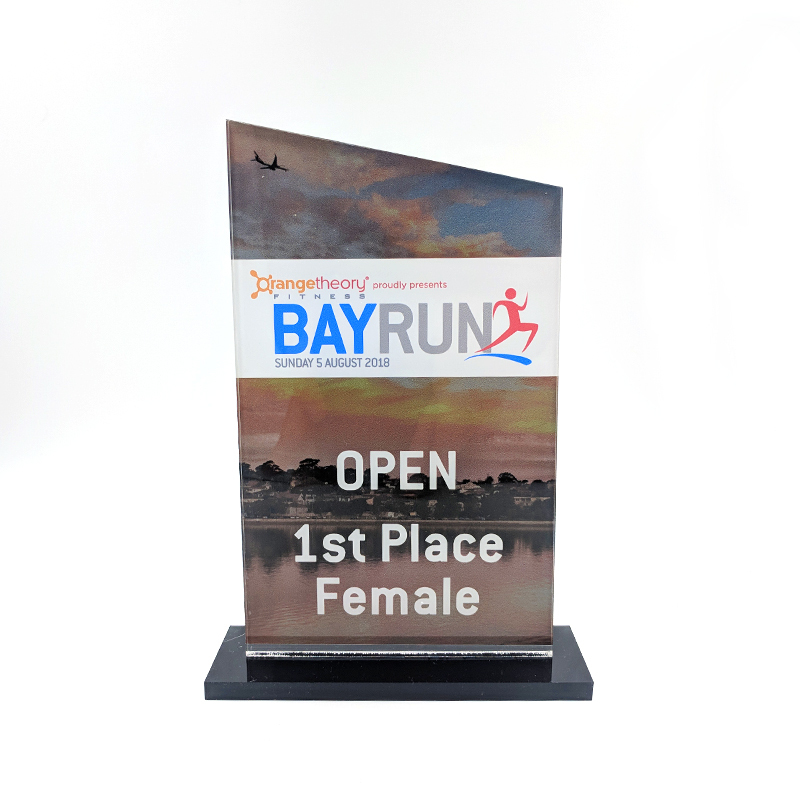 After seeing a lack of good looking trophies at running events I attended I came up with my own design which would allow events to print their own designs onto an acrylic shape. 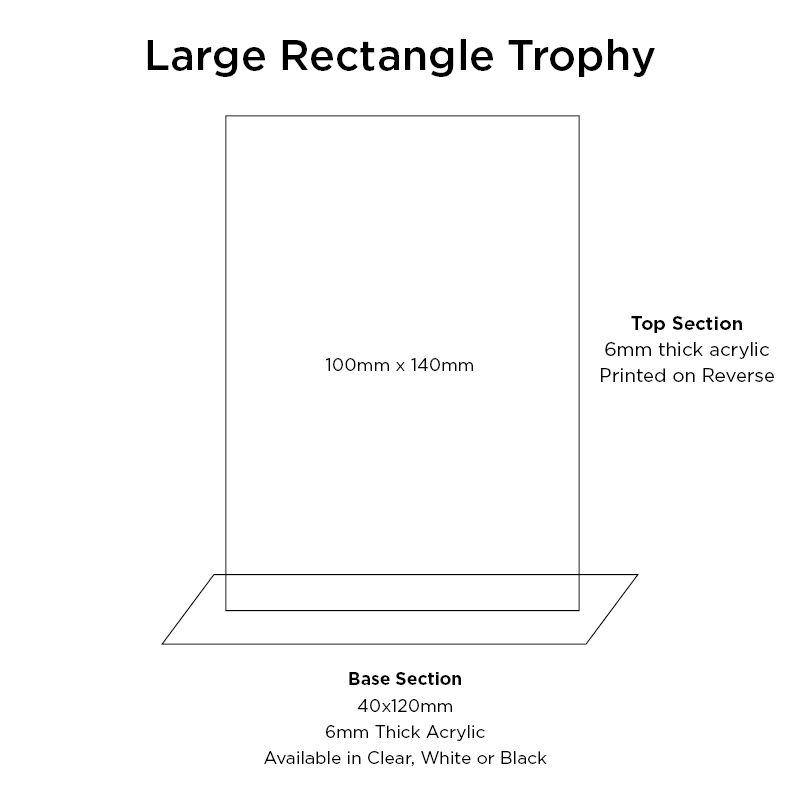 Below are the standard shapes I have developed, to allow different sizes for different places but we can also work with any shape you like. 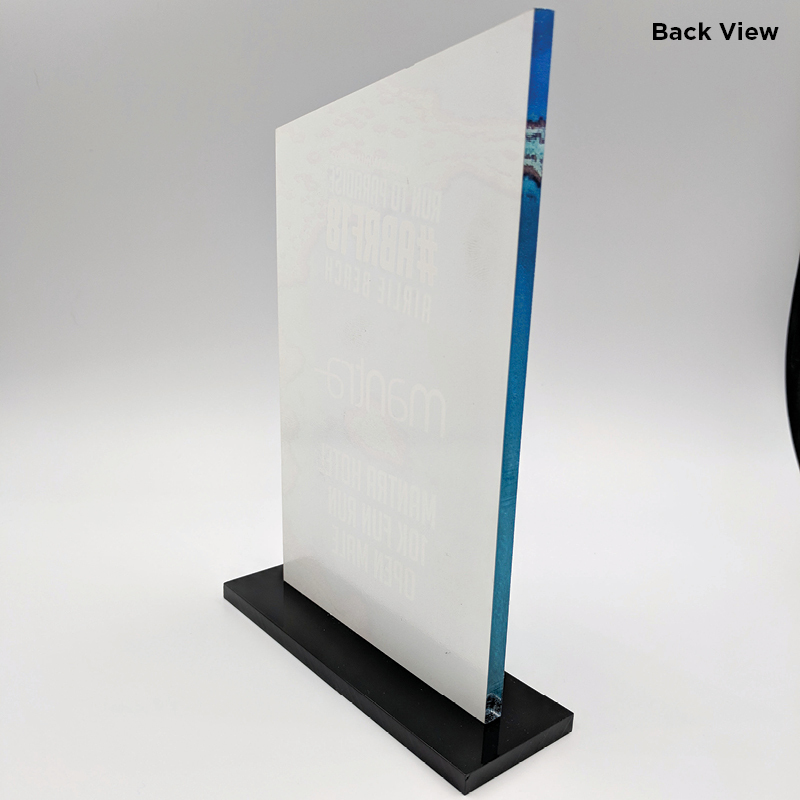 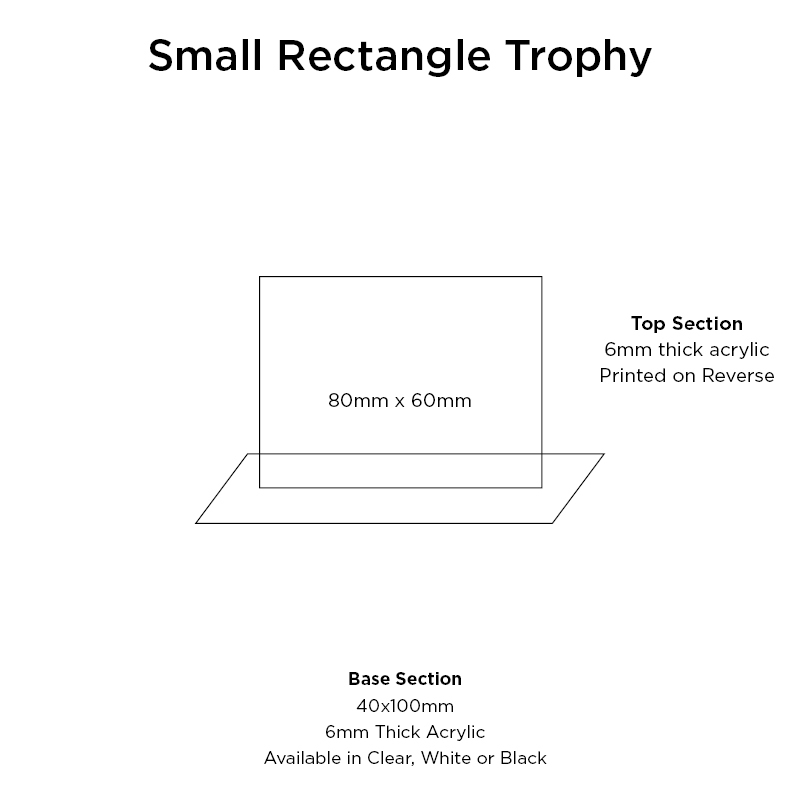 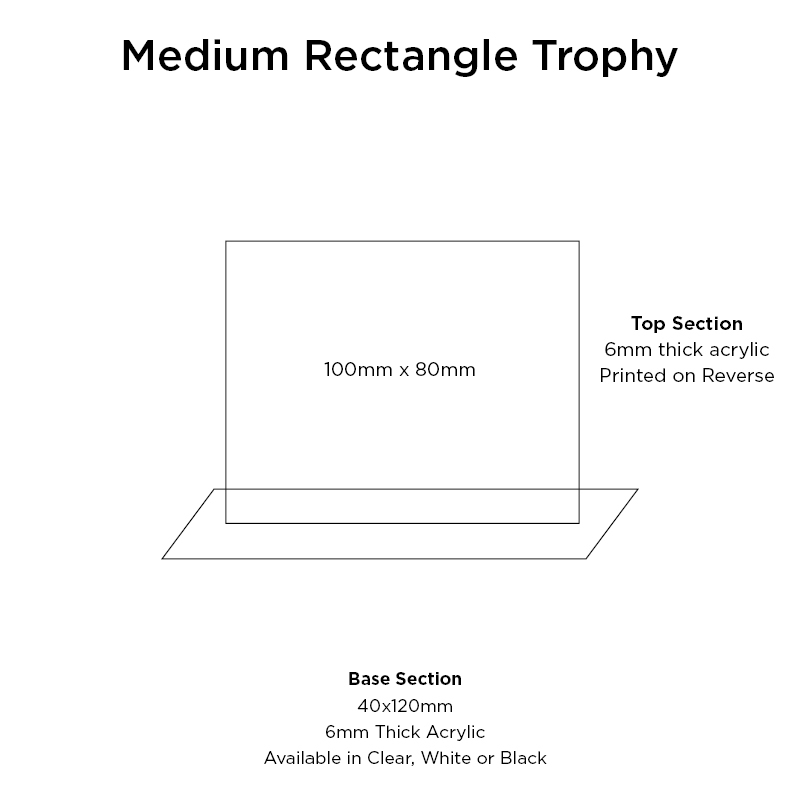 The trophies are printed with your custom design on the back of a 6mm thick clear acrylic panel and then custom cut to shape. 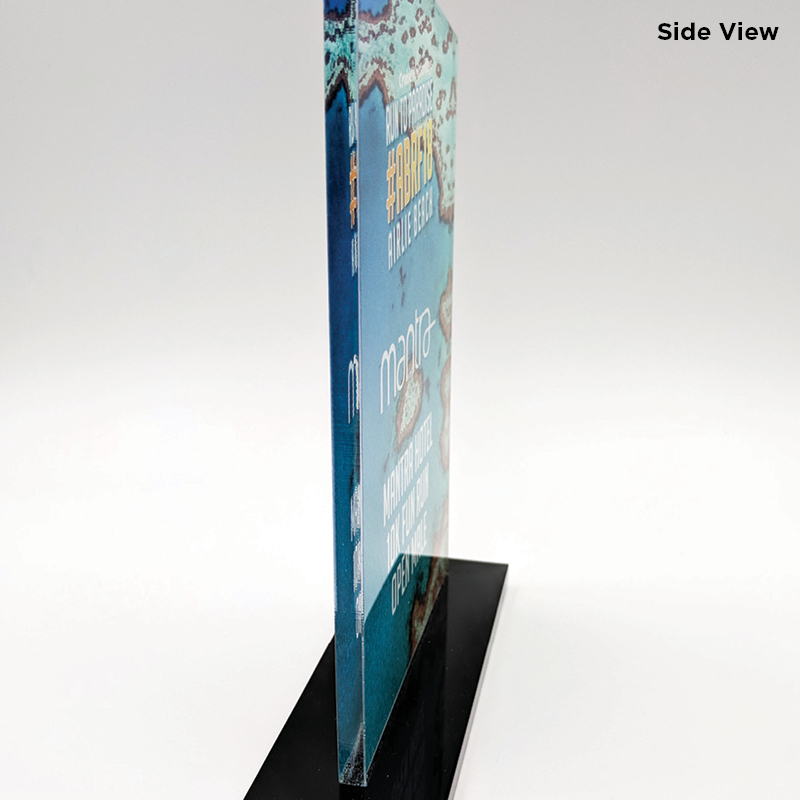 This is then adhered with strong glue to a base panel, which you can make in white, black or clear. 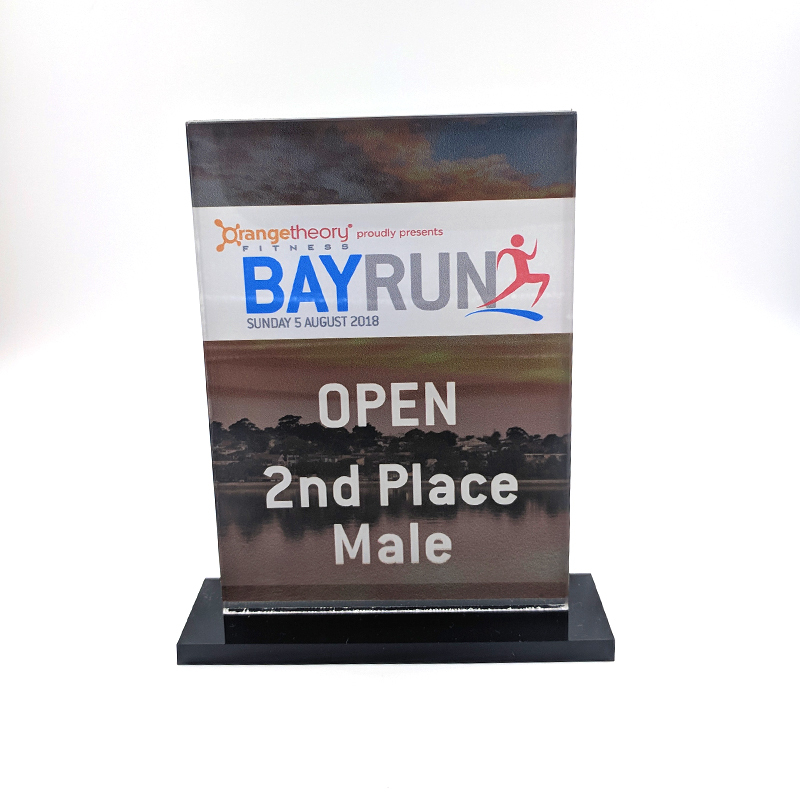 Contact us today and we can design a custom trophy for your next event.